List of Niche Ideas - Moms Make Income From Home! Many niches were popular a couple of years ago but not as much today. Look at the current trends. Clean Technology – This can include a diverse range of services, products, and processes that use renewable materials and energy sources to reduce waste. 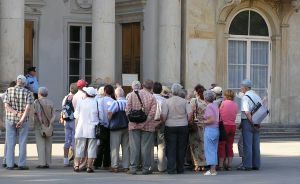 How To Guides – Articles on educating people on a subject have always been popular. In general, people will feel good about looking online for a guide on how to do something. Gadgets – This can be from Smart Phones, Tablets, to the most current gadgets that you wear such as Fitbits and Apple Watches. Crypto Currency – A medium of exchange using cryptography to secure online transactions. It has become more and more popular over the years. 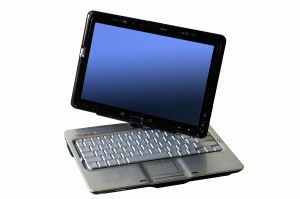 It is used by internet marketers and gamers to buy and sell goods and services online. Life Productivity Tools – People are always interested in ways to organize and improve their lives in this busy world we live in. Generation writing – Pick a particular generation. For example, if you chose early twenties. 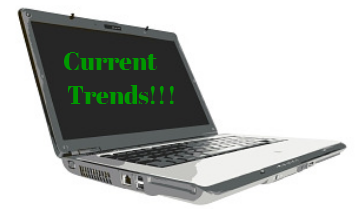 Follow what is trending for this generation and write for them. Lifestyles – You can write about Dating sites, Hairstyles, Heath and Fitness, Fashion, Home Design, etc. 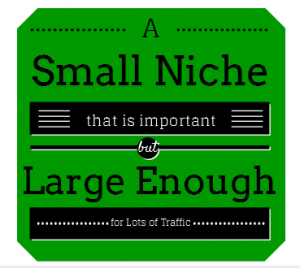 Choose a small niche that is important but large enough for plenty of traffic. How do you do this? Start with finding a keyword that has close to 1000 searches a month. This should be an exact match of your keyword. It should also have a very low competition in Google. You will see under searches that this keyword has 153 searches per month. Not a good keyword choice. Just for curiosity sake, let’s check out the Google competition for this keyword. Looks like it will show 422nd in Google. Still not a good choice. Jaaxy is a stand alone keyword tool program. It is one that I love to use. 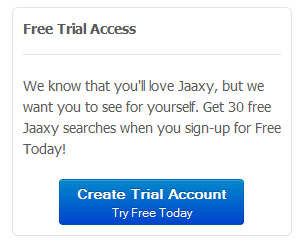 With Jaaxy, they have a free trial offer to receive 30 searches to see if the program is for you. If you like it, there is an inexpensive annual fee that is well worth it if you are serious about creating a successful online business. With Jaaxy (click here to read a detailed review), once you enter a keyword you will see the average number of searches on this keyword per month and the number of competing websites in Google on this keyword. 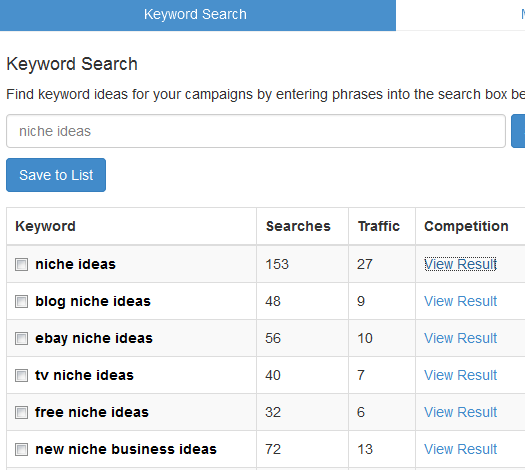 Another advantage of Jaaxy, is seeing the related ideas for your keyword. These ideas will often lead you down a successful path you would not have gone down yourself. Now that you have decided on the right tool, the fun begins. You have a great tool and you simply start typing in keywords on a subject to narrow down to the small niche you want to use to create your website. If you want to try a free Jaaxy search, enter a keyword below. Create your website using WordPress around your chosen keyword. This is easy if you are using Wealthy Affiliate with their automatic login to WordPress. Make sure you are adding great content for your readers. This will probably take some research on your part because you need to become an expert on your niche. Without great content, your users will not stay on your site to see what you have to offer. Get your site ranked in Google and the other popular search engines. Use Google Analytics to see how your site is ranked. Once you do this, decide on what else you can help your user with by adding an ad relating to your site and any other helpful affiliate links that might lead your user to something they are looking for. Look out…you now should start earning an income. I hope you have found this post on List of Niche Ideas helpful. If you have some other ideas to share with the other mom readers, please post them below. It shows everyone that Moms can make income from home! website. That’s what this site is providing. Yes you are right. Quality content is essential. I will. Thanks for your feedback! I got this site from my buddy who shared it with me. At the moment, I am visiting this web site and reading very informative posts. Keep visiting and reading more. then register for the free classes. You will learn a bunch more. I do not even understand how I ended up here, but I thought this article was good. Glad you have found it and it has helped you.